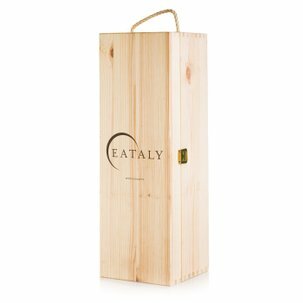 For a special occasion or to start an evening with friends on the perfect note: the products selected by Eataly allow you to celebrate with a fitting and flavoursome brindisi or 'toast'. Oregano Bruschetta Sauce 180g:Tomaten 88,58%, Knoblauch 5,32%, Chili 3,55%, Oregano 0,88%, Extra natives Olivenöl 0,88%, Salz 0,79%. ALLERGENE: Enthält keine Allergene. The aperitif: an unmissable evening appointment to whet the appetite with superb quality products. Discover Eataly's proposals: 1. De Carlo - Cream of Black Olives 100g, 2. Il Mongetto - Oregano Bruschetta Sauce 180g, 3. 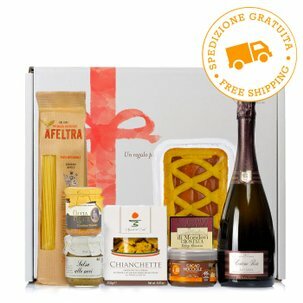 Agricola del Sole - Tarallini 250g, 4. Agricola del Sole - Chianchette 250g, 5. Figulì - Foglie Piccantine savoury crackers 100g, 6. Mariangela Prunotto - Charcoal Grilled Baby Onions 320g, 7. Olis Geraci - Green Crushed Olives 200g, 8. Fontanafredda Gavi del comune di Gavi 2012 0.75l, 9. Fontanafredda - Briccotondo Barbera 2012 0.75l, 10. 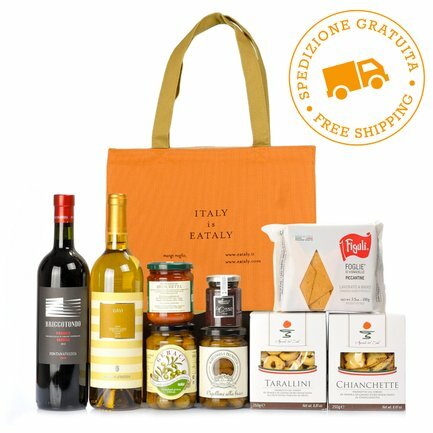 Eataly Thermal Bag.